Meet Tress. Created by Esther Olatunde, Priscilla Hazel, and Cassandra Sarfo, this new app eliminates the need to stop a fellow queen on the street and ask where she got her hair done. 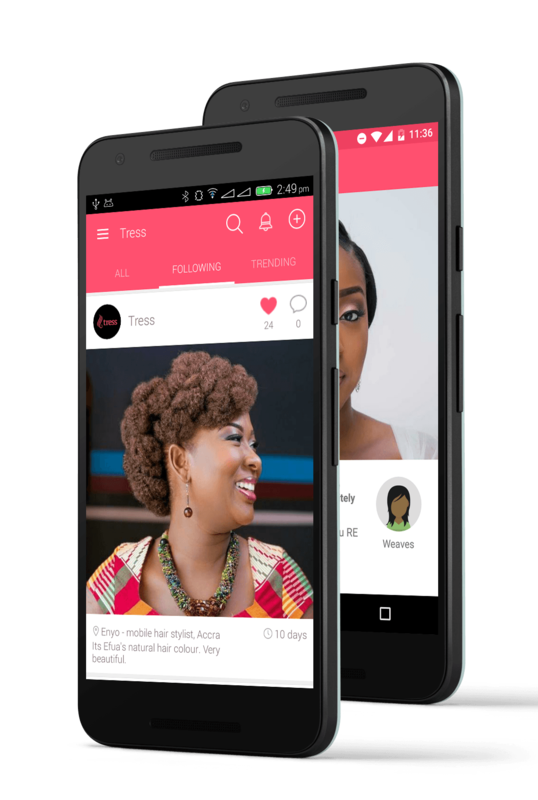 Tress is an online community where users can post pics of their styles with a description on how they achieved the style. The textured natural hair market brought in an estimated $2.7 billion in 2015 in the US — and this doesn’t even include extensions and wigs. Even with the growing popularity of natural hair products and new techniques, the process of actually getting what you want is anything but streamlined. You can search Tumblr for inspo, then head to YouTube for a corresponding tutorial, then on to StyleSeat to find a stylist who can do the style, then off to find a beauty supply that carries the products you need to maintain the new style. IT. IS. WORK. Tress aims to make a style switch up easier by unifying inspo, product recommendations, and salons in one place. Founders Esther, Priscilla, and Cassandra met in Accra, Ghana at the Meltwater Entrepreneurial School of Technology, according to Refinery 29. The three bonded over all things hair and the rest is history. Tress already has over 60,000 users in Africa and things are only getting better. The app was selected as part of the Y Combinator Fellowship Program which has helped start-ups like Reddit and Airbnb. Andriod users can download Tress here! Follow Tress on IG for updates on a launch in the Apple store.